This product, which is sold on the Internet, has a label that shows it contains “a little bit of everything” but not enough of the key ingredients needed to make a real difference for your prostate woes. 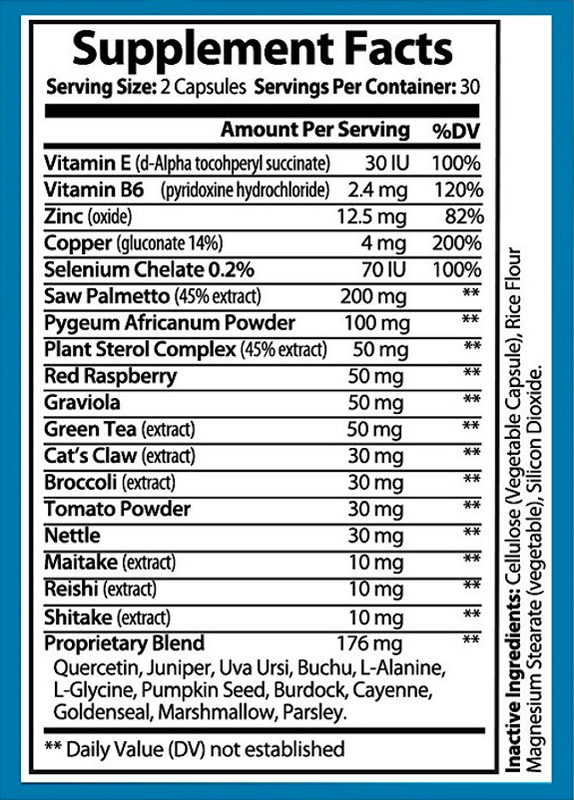 Look at the supplement facts from their label below, it has over 25 ingredients – but all in very low mg amounts. Beta-sitosterol score is very low as is the total sterol score. Formula is identical to Crystal Clear Solutions formula and others. Exact same product, just a different label. Pass.